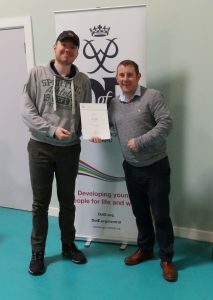 High Grange success at Duke of Edinburgh Awards! 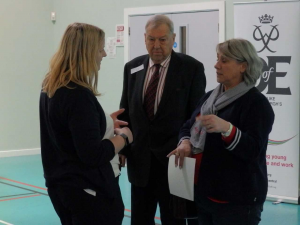 High Grange School had the pleasure of hosting a Duke of Edinburgh awards ceremony for our students on 2nd April 2019. We are so privileged to be able to offer these awards as part of our day to day curriculum, and in the five years that we have been offering the awards over 20 students have achieved a full or part award, ranging from bronze to gold. This week there were ten awards presented: 4 bronze level, 5 silver level and one gold. 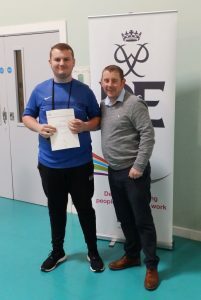 Our gold achiever already has his date set to travel to Buckingham Palace, meet members of the Royal Family and receive his certificate from a celebrity! 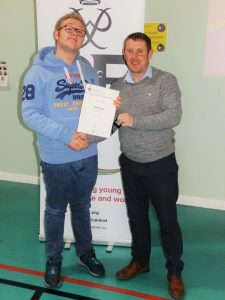 Each young person was presented with their award by Gavin, and the ceremony was witnessed by our local D of E award co-ordinator, who was delighted by the presentation and the behaviour of our young people. None of this would be possible without the hard work of our students, their parents and our staff team, headed by Nicola Foyle. Staff have given up many hours of their spare time to support the students on their camping and walking expeditions: some students have never spent a night away from parents, let alone in a tent, so the challenge of preparing for this is huge. So a big thank you to the young people, parents and staff team. Nicola is preparing to take our next group of students away for their practice gold expedition next week: thank you to her for her commitment, hard work and confidence in the young people which has resulted in such fantastic achievements over the past five years. Thank you to Gavin, Phil and the team at Rushcliffe Care for facilitating the organisation of the awards, and good luck to those who are working towards their next level.